Legislation establishing NARAB was added to a bill reauthorizing a federal backup for terrorism risk by unanimous consent. Some 80 percent of NAIFA members say they have lost clients who moved to states in which they were not licensed. Update: IRI issued a statement after NARAB II was added to TRIA bill. The House Financial Services Committee today reported legislation to the House floor that includes provisions creating a clearinghouse aimed at streamlining agent licensing. Legislation establishing the National Association of Registered Agents and Brokers (NARAB) was added to a bill reauthorizing a federal backup for terrorism risk Thursday by unanimous consent during debate on various pieces of legislation, and the entire bill was sent to the House floor by a vote of 32-27. The bill H. R. 4871 is also known as the TRIA Reform Act of 2014. However, the strong opposition stemmed from cutbacks proposed in the terrorism risk program, not to creation of NARAB. That bill has strong legislative as well as industry support. However, during debate on the bill Thursday, Rep. Ed Royce, R-Calif., did voice concern that the bill gives too much power to the National Association of Insurance Commissioners (NAIC), a non-governmental body, to advise presidents in picking members of the governing body of NARAB. And officials of the National Association of Professional Association of Insurance Agents (PIA) said it didn’t like that the Federal Insurance Office (FIO) said it will monitor NARAB “consistent” with its authority to oversee the insurance industry. “Securing passage of NARAB II remains one of IRI’s top legislative priorities, and we will continue to work with congressional leaders to achieve this goal,” Weatherford added. But Jon Gentile, PIA national director of federal affairs, said that while PIA supports creation of NARAB, he is concerned that the FIO has said that it will monitor its establishment and implementation “consistent with its [the FIO’s] authority.” “PIA believes the FIO has no such authority, and that authority for NARAB II should never be granted to the FIO. We look forward to working with the full Senate and House to pass a long-term reauthorization of TRIA as soon as possible,” Gentile said. Rep. David Scott, D-Ga., called the bill “long overdue,” noting that he has been working 12 years to enact it. 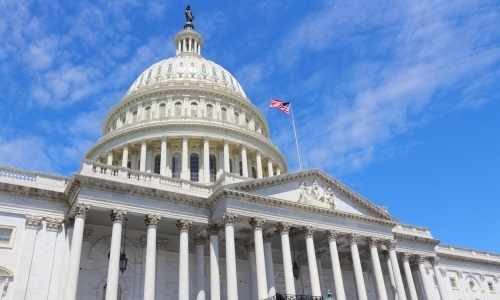 There is likely to be an effort to get the bill through the full House before it leaves for the July 4th recess, but while the TRIA provisions may face amendment on the House floor, the NARAB provision is unlikely to be changed. The bill has already passed the full House several times, and the current version was passed by the Senate Jan. 30 as part of the Senate effort to slow down imposition of actuarial rate increases on customers of the National Flood Insurance Program (NFIP). The House, however, ultimately passed an entirely different NFIP rate rollback scheme that didn’t include the NARAB provisions. The effort to streamline insurance agent licensing has been underway for more than 20 years. The Gramm-Leach-Bliley law of 1999 called it to be implemented in 2003 unless at least half the states adopted “reciprocal” licensing laws governing nonresident licensing. The creation of NARAB itself was averted when 29 states did so – as mandated under the law. However, momentum has been re-established for NARAB because industry officials have argued that, despite these efforts at reciprocity, the full promises of the original NARAB law have not been met, as the administrative burdens of state-by-state licensure have grown, not diminished. The legislation is modeled after the National Association of Securities Dealers (NASD) and will be a completely voluntary, self-regulating organization. On a purely voluntary basis, agents and brokers can apply to NARAB for membership. Upon meeting the NARAB criteria, they can use the agency essentially as a “passport” system for multi-state licensure. NARAB’s membership criteria will be established by a board that is dominated by state insurance commissioners. “The big concession we’ve made is on governance – that a majority of the governance has to come from state insurance commissioners,” one lobbyist involved said. That, however, has stirred some concern. In proposing an amendment to the NARAB provision during debate Thursday, Royce argued that one provision of the legislation “inappropriately empowers” the NAIC by directing the U.S. president to give preference to a list of NARAB members provided by the NAIC. Royce agreed to withdraw his amendment because the FSC’s panel’s Housing and Insurance Subcommittee agreed to take up the issue of the NAIC’s role. Rep. Randy Neugebauer, R-Texas, chairman of the panel and sponsor of the NARAB amendment, agreed to do so at the markup. NAIFA officials noted that a recent survey of its members revealed that they spend an average of 29 hours per year complying with insurance licensing requirements and an additional 28 hours on insurance-specific education courses. They spend on average more than $350 per year on insurance-specific continuing education courses, the survey found. “The time and money spent on licensing adds up quickly for those who operate across state borders,” NAIFA officials said. “But an agent’s failure to hold licenses in multiple states can harm their business, as well as consumers.” According to the survey, some 80 percent of NAIFA members say they have lost clients who moved to states in which they were not licensed.